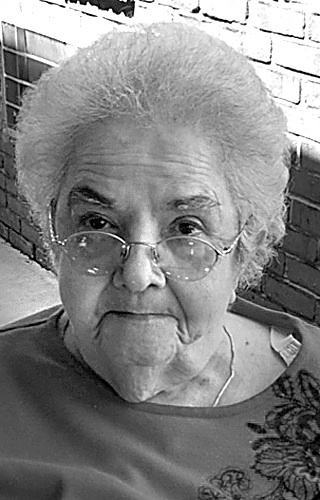 Eva Marie Barbati, 85, of Weirton, passed away Sunday, October 22, 2017, at the Weirton Geriatric Center. Born February 10, 1932, in Steubenville, OH, she was a daughter of the late Angelo and Angelina (Bernabei) Barbati. She was also preceded in death by her sister, Domenica “Minnie” Catignani. Eva was a member of St. Joseph the Worker Roman Catholic Church. She is survived by her sister, Clara Broadwater of Missouri; nephews Domenic Catton of Greensburg, PA, and Dino (Marci) Catignani of Ottawa Hills, OH; niece Maria Catignani of Charles Town, WV; 6 great nieces and nephews and four great-great-nieces and nephews. A talented baker, Eva was appreciated for creating an endless array of cookies. She devoted hours to knitting blankets for family and friends. She’ll be remembered for a sharp sense of humor, kindness to her friends and many victories at card games. Friends will be received on Wednesday from noon until the 1 p.m. Mass of Christian Burial at St. Joseph the Worker Roman Catholic Church. the Rev. Fr. Anthony G. Thurston will officiate. Entombment will follow at St. Paul Cemetery, Weirton. Memorial contributions may be made to St. Joseph the Worker Roman Catholic Church, 229 California Ave., Weirton, WV 26062.